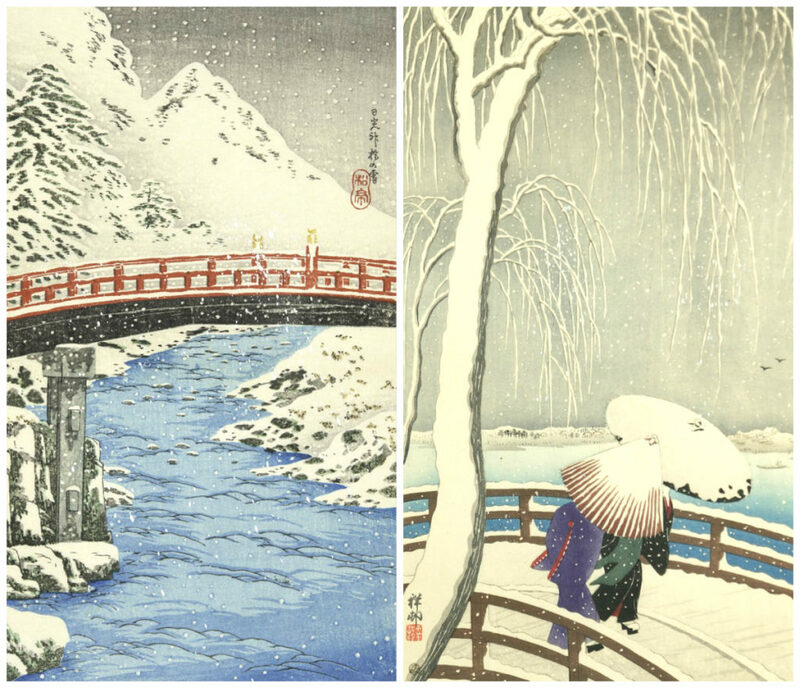 As winter approaches, we’ve put together a collection of Japanese prints in the AGGV’s Asian Art collection to mark and celebrate the season. In the same way that many Japanese prints and paintings depict the beloved sakura blossom to fete the arrival of Spring, the winter landscape is also a theme of celebration that many artists delve in. The snow-covered mountains and villages provide the opportunity to render stark, muted landscapes that are simultaneously melancholy and beautiful. The serenity of the wintry landscape is also contrasted by the hardships faced by peasants in these harsh conditions. Hasui Kawase (1883-1957) was an important 20th-century landscape artist whose prints show an idyllic Japanese past. 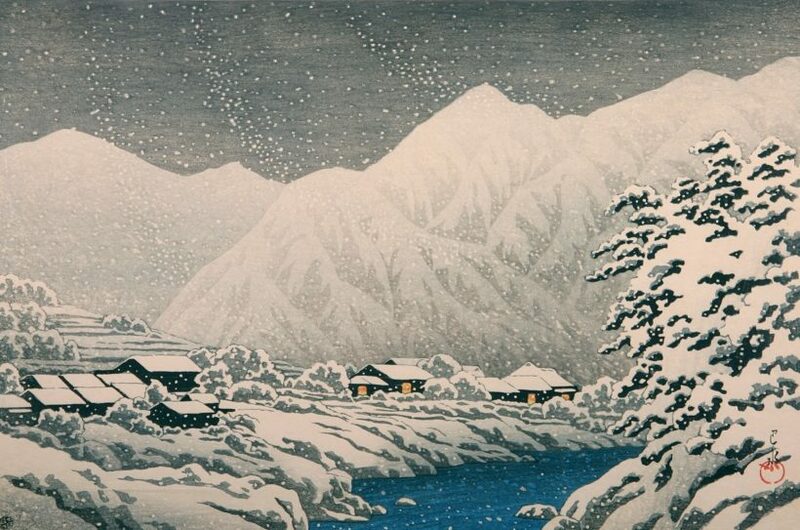 Trained in the Western style of painting, his woodblock prints are rendered in a very naturalistic style, unlike the earlier stylized images in Japanese prints made famous by ukiyo-e master Hiroshige. The ukiyo-e prints and paintings are a significant artistic development in the Edo period. The ukiyo-e or “pictures of the floating world” depicted domestic scenes, historical events, well-known scenic spots, scenes from Kabuki theatre and the beautiful maidens of the pleasure quarters. These images were mass-produced through woodblock prints which were modestly priced, and therefore, widely available and distributed. During the early 20th century, the ukiyo-e print movement was revived as shin-hanga, with a large audience and patronage from the Western world. The popularity of shin-hanga prints flourished overseas and Kawase was a prolific artist of shin-hanga. However, instead of only capturing famous landmarks like his predecessors, he also chose tranquil representations of lesser-known areas and hardworking peasants. 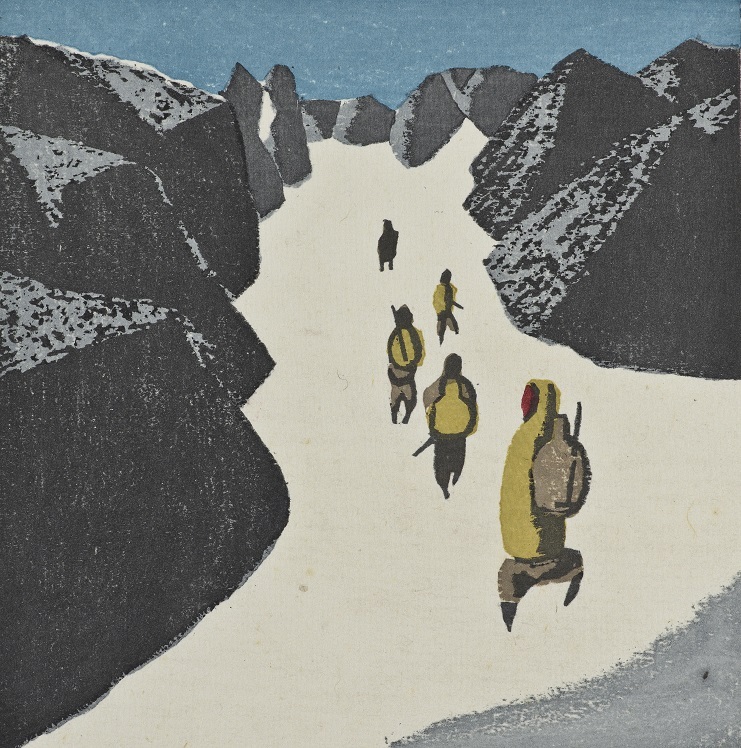 Another significant printmaker whose work may be found in the AGGV collection is Umetaro Azechi (1902-1999). He grew up as a poor peasant and moved to Tokyo to fulfill his ambitions to be an artist. In Tokyo, he worked in a government printing office where he was exposed to the art of the woodblock print. With little formal art training, Azechi looked to his roots in the countryside and his passion for mountaineering, producing some of the most evocative images of the era. Lastly, we have included a print by Walter J. Phillips (1884-1963) who was born in England and retired in Victoria, BC. Phillips was known for his colour woodcuts and watercolours, all in a style inspired by Japanese woodblock prints. 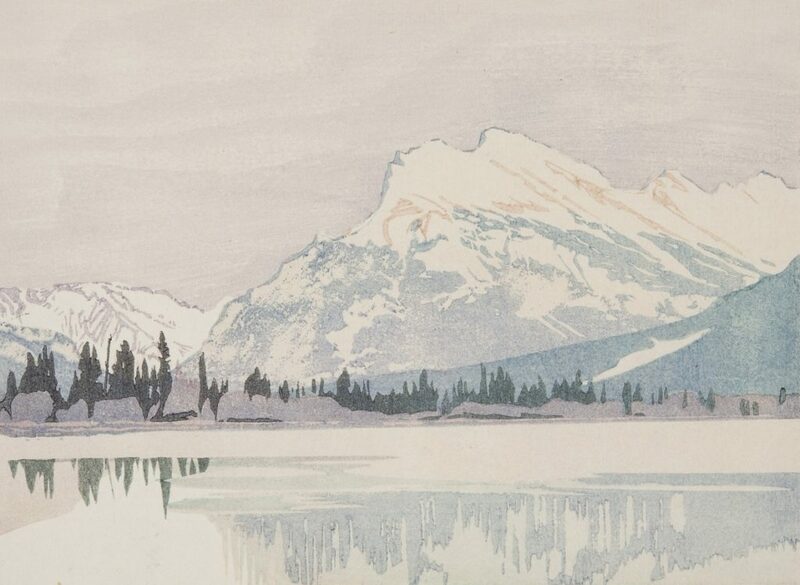 While the print above looks towards Japan for its stylistic interpretation, the subject-matter is undoubtedly Canadian in feel, with the ruggedness of the Canadian Rockies.